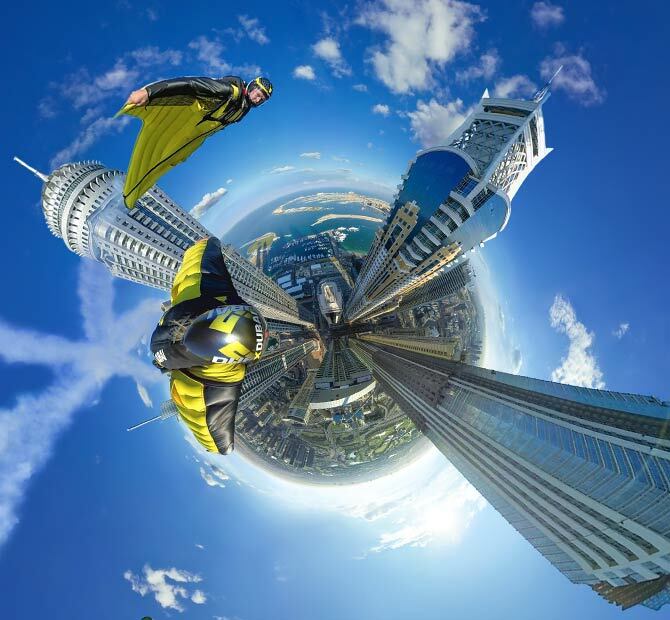 Dubai360. The provider of 360 VR world. 360 Videography and Photography, 360 Virtual Tours. Anything related to 360 photos and 360 videos, we can deliver it. 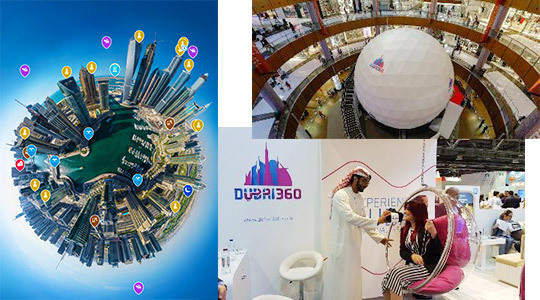 Producer of the largest and highest quality city virtual tour, unique on the world, showing dubai in full 360 degrees. 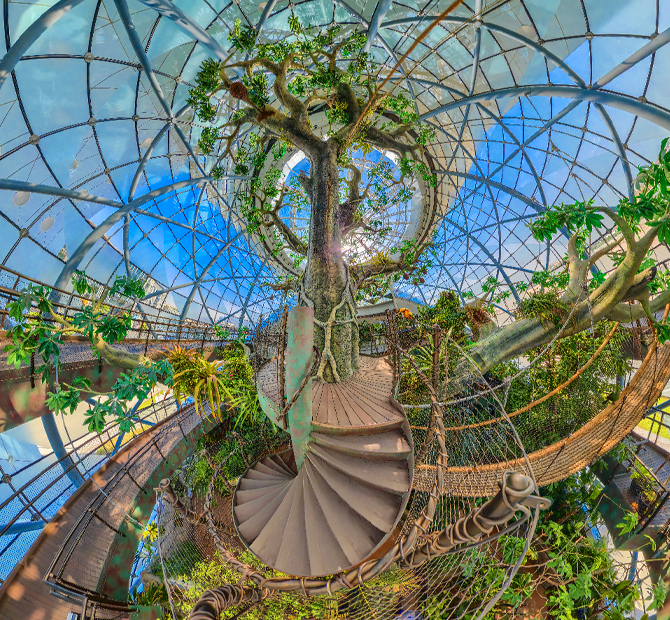 We produce 360 photos and videos using our vast knowledge, experience and technique we acquired while working at Dubai Film on the Dubai360 project. We stand unparalleled in the industry with our experience, technique and strive for excellence. 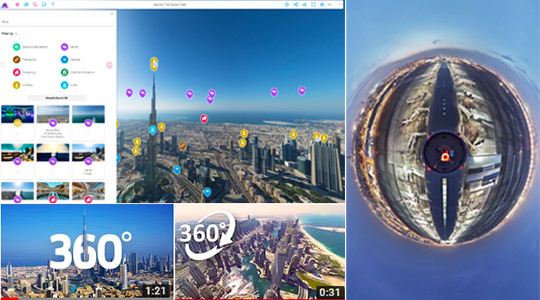 Since our launch in 2014, we have been working on our library of 360 images and 360 videos to show Dubai and its wonders to the people inside and outside of the country, spreading the city's reach as far as we can. 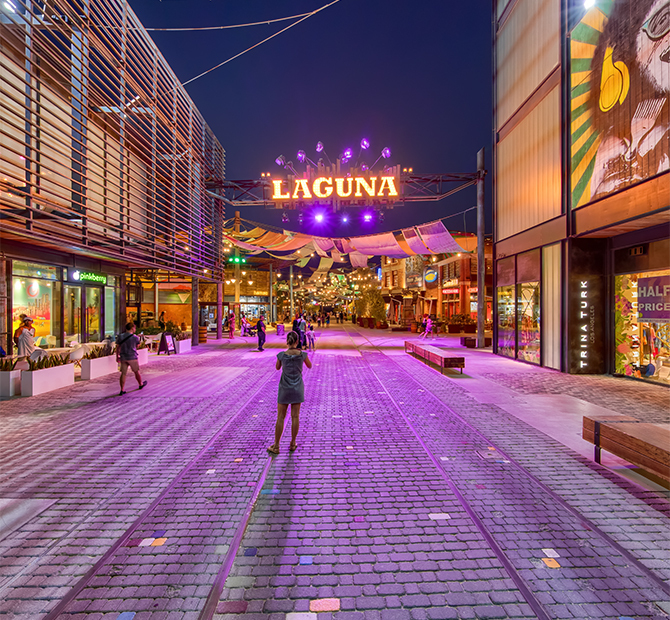 Our virtual city tour is the largest, highest quality, and fully immersive. Having an entire library of with several thousands of 360 panorama images accumulated over the years, we are confident in our skills and experience. We provide a variety that is uniqye in the area, allowing users to see everything that matters. Perfecting our work to provide the highest quaity professional service. 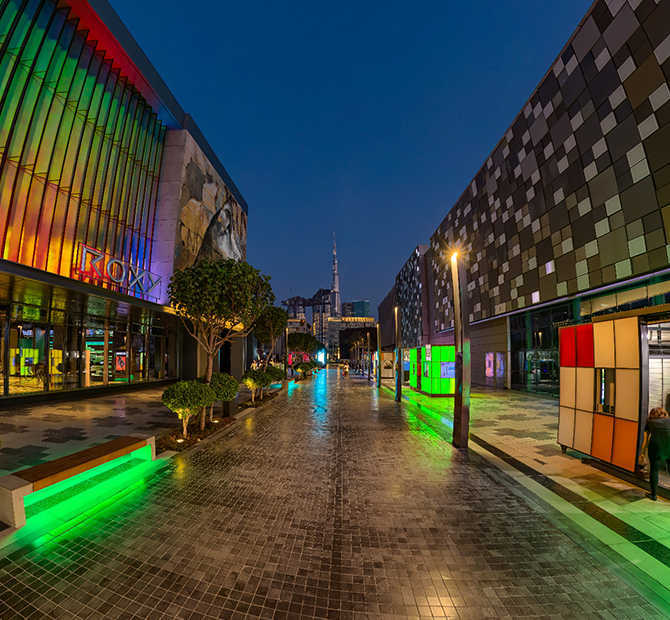 We aim to present Dubai in the best light possible, highlighting areas of interest, and convincing users to engage with the facilities the city has to offer. Learning and improving to keep up to date with the latest trends and interests in the 360 industry. We use the latest equipment and software to enhance our work and provide a unique solution that works seamlessly. Offering a wide variety of features in our solutions, we are confident to satisfy your needs precisely. 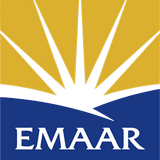 We strive to offer the best solutions to present you in professionally and enhance your reach. What do we offer and how does it help? We specialize to create 360 degree panorama images and 360 degree videos about locations or events in the form of a virtual tour. This visual technology is designed to show every detail of what it's about, and provide a complete experience to the users. Our services help increase online presence, which is crucial to marketing anything in the present. We aim to raise you above your competition by presenting a professional and high quality look, and improving your customers' first impressions. This service is equally useful for Hotels, Restaurants, Malls, Real Estate, or anything that can be presented visually. We can provide images with ultra high resolution up to gigapixels, which preserves the clarity and details on the images even after heavily zoomed in. To enhance the visuals, we use High Dynamic Range, to allow for a more diverse range of colors, making the image look realistic. 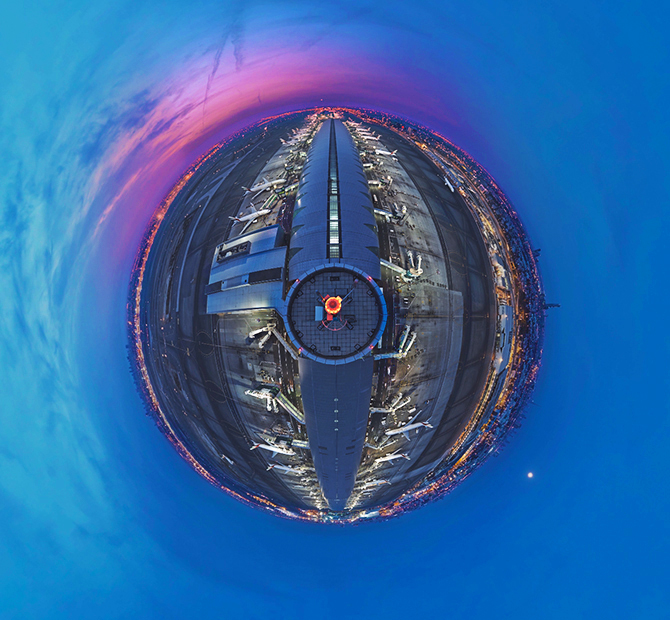 Fully interactive and immersive virtual tours of 360 panoramas, where the users can look around in 360 view, and navigate to other scenes with hotspots on the image. 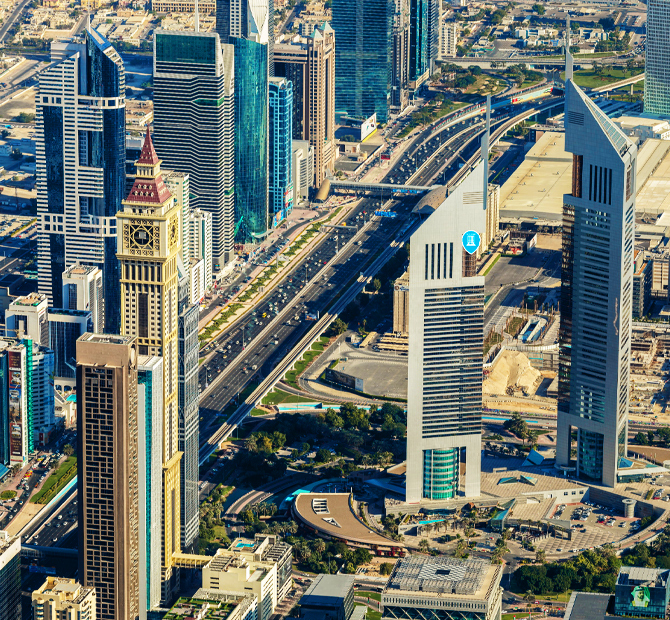 The Dubai 360 platform lets you integrate the tours into your website in a simple way and allows for customization and branding in the form of widgets. Timelapse is a technique we use, where we increase the time passing between image frames, creating a video where the time appears to be progressing fast, and slow actions become highlighted. Hyperlapse is a variation to the previous technique, where we move the camera between frames to create a fast moving effect. We are well equipped with drones and electric cars to handle any condition we're faced. We can provide Aerial, Underwater footage, and we can create smooth videos with our motorized electric cars with cameras. We are able to provide helicopter service for more advanced aerial shots if required. Spatial audio gives a sense of space when sounds change volume based on the facing direction, creating a more immersive experience. To always be in the moment, we also provide 360/VR livestreaming services, allowing users to experience events from their home in 4K or 8K 3D quality. After the shooting we can enhance the images and videos further using the many techniques we have. We can modify the images to remove unwanted details, or add special effects to video clips. We can create a story to tell more about the events that are happening around in an immersive environment. We created a video showcase of our services and values to help you discover more about us. Using the latest equipment, we enhance our work's quality to the highest standards and become a leader in the industry. Being part of Dubai Film, we have access to all the technology, equipment and professionals, helping us to produce something unique on the market. We have motorized and programmed panorama heads with numerous lenses and cameras. We are able to set up our cameras anywhere and anytime in even the most extreme places thanks to our professional rigging team. 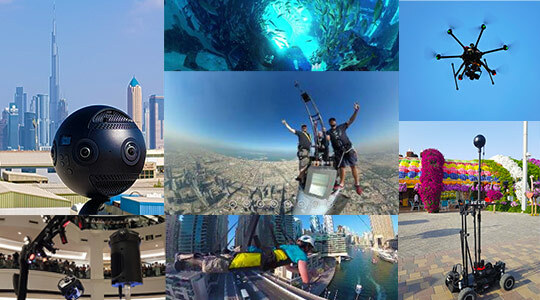 We are well equipped for every occasion with different 360 video cameras for underwater, aerial or storytelling. Our team has producers and directors who can support the work with their creativity. We are prepared to give you innovative and creative ideas for your project to help you get a head start and imagine the final product. We are proud to have a long record of companies we worked with and supported throughout our journey. We would be pleased to work with you and build a positive relationship over time. We have an extensive library of past projects and works we are proud to display to reflect our values and standards. Explore our selection of works and see what we can offer. You can see our works at the DUBAI360.COM website as well. 2019 © Dubai Film LLC.